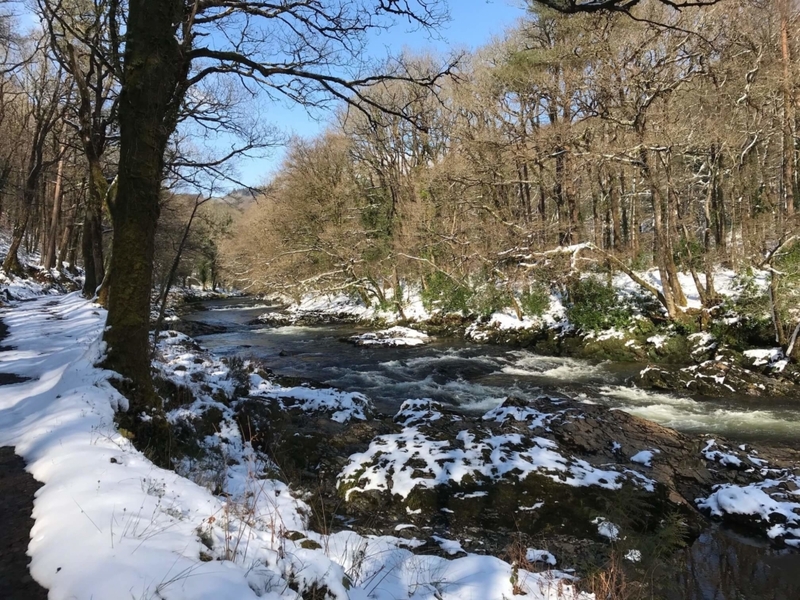 The River Dart Valley inside the Dartmoor National Park encompasses a beautiful and picturesque combination of high moorland and deeply gorged mature English Woodland. 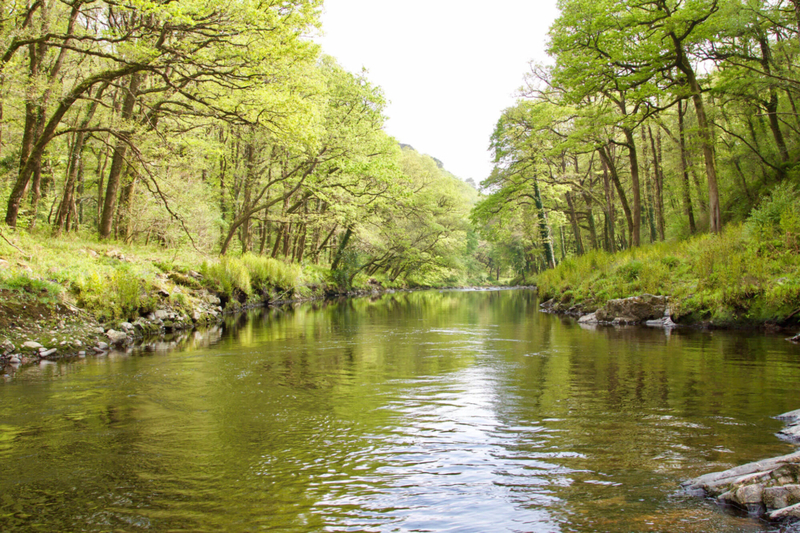 Cutting through this dramatic scenery is the magical River Dart; a reputable source of some of the UK’s best Salmon & Sea Trout fishing from April – end of September. There are Seven fine pools available to rent with any of the Holne Chase Holiday Cottages. Expert tuition for everyone who requires it with an experienced Ghillie (please ask for details). Night fishing for Sea Trout. 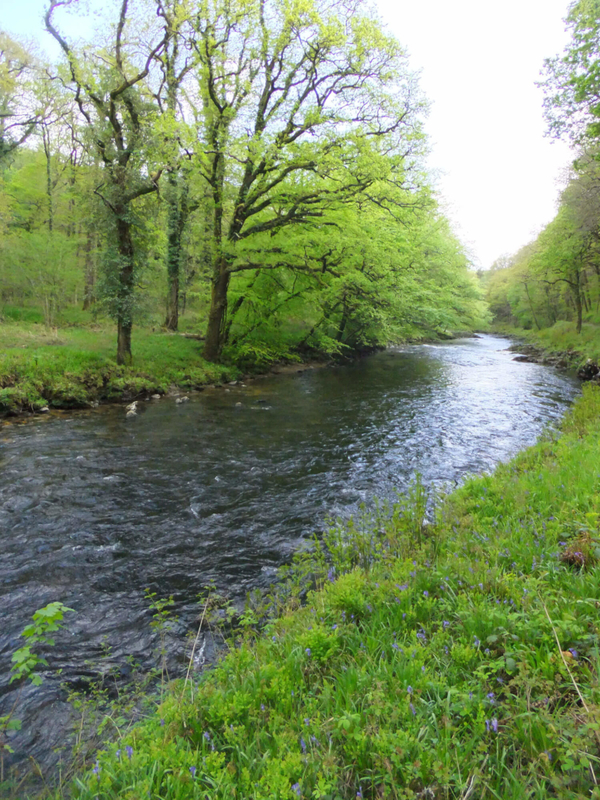 Fishing the tributaries of Dartmoor for Brownies with a Guide. Magnificent scenery; tranquil and peaceful. Fishing out of season on nearby lakes and reservoirs. The River is limited to two rods at any one time. Therefore, whether you intend to fish alone or with a Ghillie, you will need to advise us in advance so that double bookings may be avoided. If you plan a night fishing please make sure you are with a partner or someone knows when you are expected back and that instructions are in place to raise alarm should an accident occur. 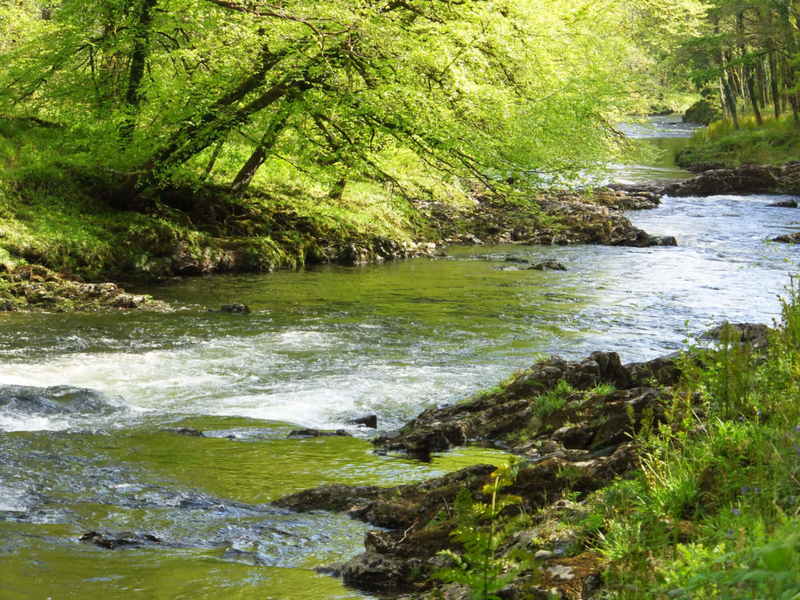 In addition to fishing on Holne Chase water, we can arrange fishing on Duchy waters, and with other riparian owners. 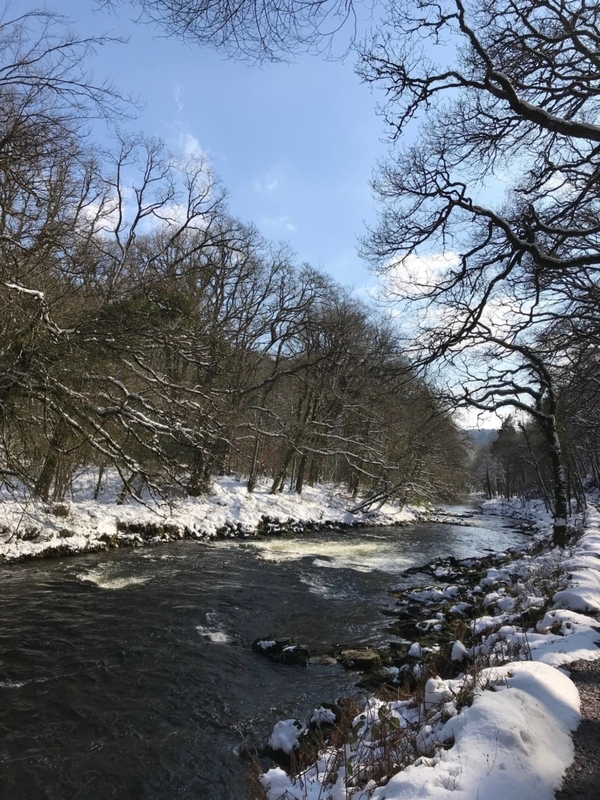 For those wishing to fish out of season; there are a number of nearby lakes and reservoirs that are open all year round where you may fish for Rainbow Trout. It is advisable to obtain an Environment Agency License prior to your visit. Fishing courses are available throughout the season, from beginners level. The Environment Agency has introduced a voluntary “Catch & Release” Program to protect the Spring Salmon on the Dart. This initiative ends on 15th June, but we ask that fish are returned wherever possible. The Holne Chase beat comprises over 1½ miles of Salmon and Sea Trout fishing, with seven named pools, including the famous Chase Pool. The whole beat can be taken on a weekly basis, with room for 2 rods, or on a daily rate of £25 per rod, per day, when rented with one of our cottages. Please enquire for a weekly rate. The best of the season starts in mid-May when large Sea Trout arrive, and thereafter until the end of September. 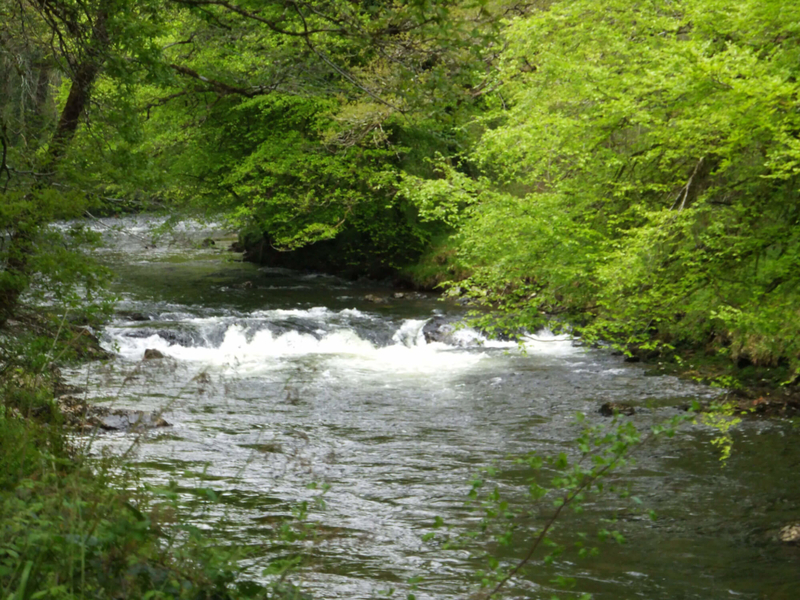 The summer Salmon and Grilse have tended to be caught from June onwards, in spate conditions. 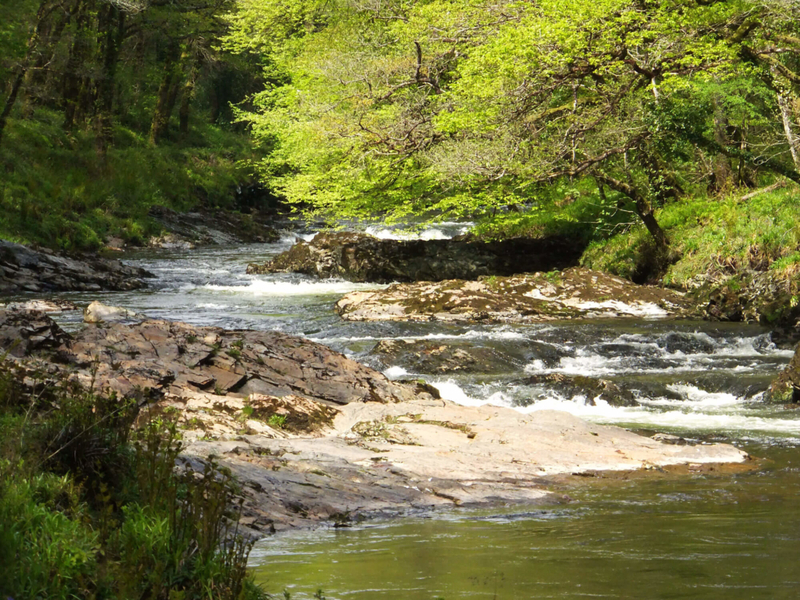 The joy of fishing the Dart in all its beauty is incomparable to anywhere else in the country. 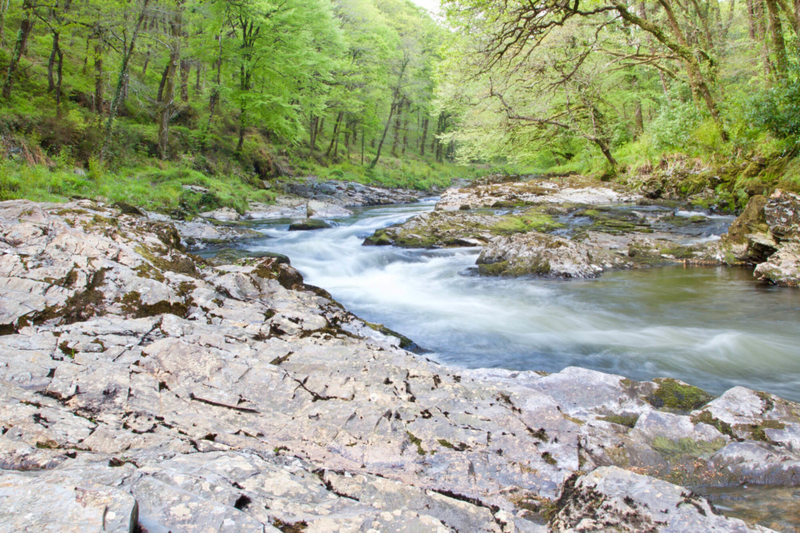 It has the additional advantage of providing sport for Sea Trout in low water conditions when Salmon fishing is poor, and the chance of a Salmon in high water. 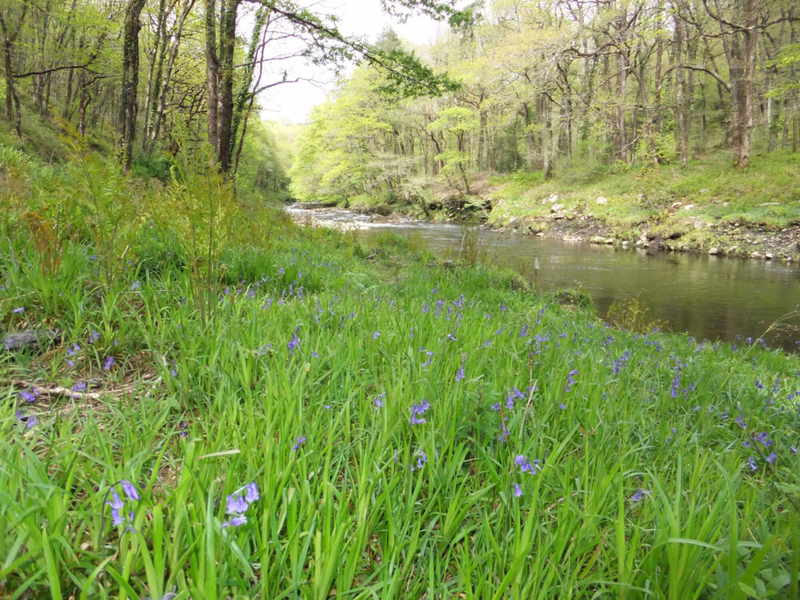 Picnicking beside the river can provide some of the loveliest times of a holiday, in total privacy, surrounded by ancient woodland in the SSSI (Site of Special Scientific Interest).